In one of the more surprising developments of the summer transfer window, Arsenal have allegedly made England international Jack Wilshere available to loan for the season. The midfielder was omitted from Sam Allardyce’s first Three Lions squad at the weekend, with a lack of games cited as the reason. Wilshere started all of the Gunners’ games this term on the bench, getting on the pitch twice, after a knee injury interrupted his pre-season preparations. A loan spell at Bolton Wanderers as a teenager saw him emerge as a future superstar, but never-ending injury problems have since hindered his progression and with the competition for places in north London more intense than ever, a temporary transfer is seen as the solution to revive his stalling career. But where will the 24-year-old wind up? Arsenal obviously aren’t going to allow him to join any of their closest competitors, assuming they’d want to do a deal in the first place, making a move to one of the lesser-lauded Premier League outfits most likely. With the boon of Champions League football to entice potential signings, a strong core of home-grown talent, a celebrated team spirit and, most importantly, a vacant space in central midfield, Leicester City are a viable option. Obviously, as defending champions, the Foxes must be considered amongst the Gunners’ title rivals, but there’s a sensible argument to make for strengthening an already-formidable unit ahead of their battles with those more likely to beat Wenger’s side to the top-tier crown, especially with Arsenal having already played them once. However, the clear pitfall in this ploy – Leicester end up finishing above Arsenal again – will probably rule it out. Everton provide a superior alternative. They kicked off the campaign with a sturdy midfield base of Idrissa Gueye and Gareth Barry. They’re a dependable pair, but very alike, with the lack of creativity in the partnership sure to cause problems as the season progresses. Replacing Barry, who turns 36 in February, must be a priority for the Toffees’ recruitment team and the newly-available Wilshere must be considered among the more attractive heirs to his long-occupied throne. He’s a ball-playing upgrade on the veteran, who’d still have a part to play as relief when the outgoing Arsenal star needs a breather. Everton have got the money to cover his massive wages and make the deal permanent if the loan is a success, while a season away from European football can’t be considered a bad thing for a player so easily injured. 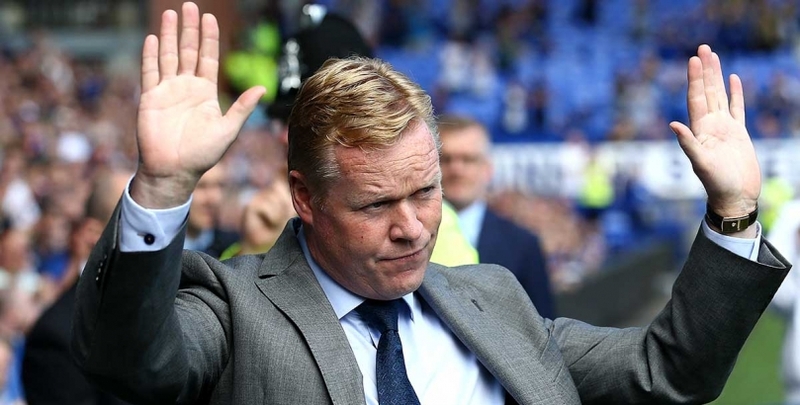 After picking up seven points from their opening three matches, Ronald Koeman’s troops can be backed at 5/2 to finish in the top six.